This volume is concerned with diplomacy between England and the papal curia during the first phase of the Anglo-French conflict known as the Hundred Years' War (1305-1360). On the one hand, Barbara Bombi compares how the practice of diplomacy, conducted through both official and unofficial diplomatic communications, developed in England and at the papal curia alongside the formation of bureaucratic systems. On the other hand, she questions how the Anglo-French conflict and political change during the reigns of Edward II and Edward III impacted on the growth of diplomatic services both in England and the papal curia. 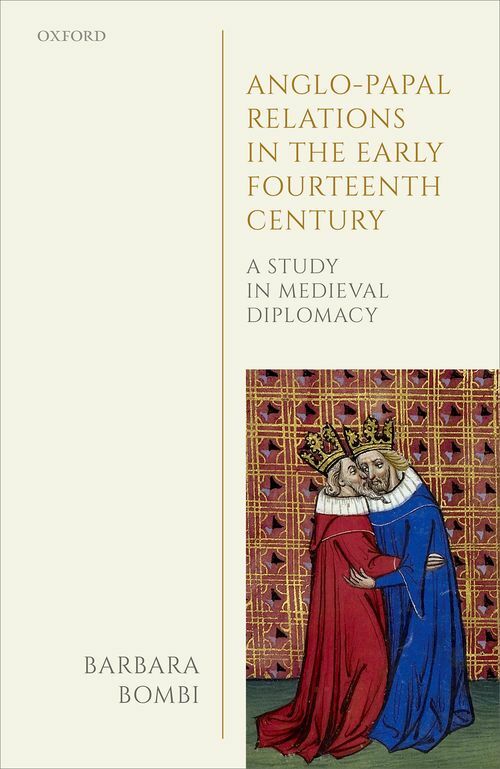 Through the careful examination of archival and manuscript sources preserved in English, French, and Italian archives, this book argues that the practice of diplomacy in fourteenth-century Europe nurtured the formation of a "shared language of diplomacy". The latter emerged from the need to "translate" different traditions thanks to the adaptation of house-styles, formularies, and ceremonial practices as well as through the contribution of intermediaries and diplomatic agents acquainted with different diplomatic and legal traditions. This argument is mostly demonstrated in the second part of the book, where the author examines four relevant case studies: the papacy's move to France after the election of Pope Clement V (1305) and the succession of Edward II to the English throne (1307); Anglo-papal relations between the war of St Sardos (1324) and the deposition of Edward II in 1327; the outbreak of the Hundred Years' Wars in 1337; and lastly the conclusion of the first phase of the war, which was marked in 1360 by the agreement between England and France known as the Treaty of Bretigny-Calais. Barbara Bombi is Professor of Medieval History at the University of Kent in Canterbury. Her research interests and main publications focus on the history of the medieval papacy (1200-1400), the history of the Teutonic Order and the crusades, and the history of Anglo-papal relations in the fourteenth century.